CAIRO (AP) — Archeologists have clashed at a conference in Egypt over a theory that secret chambers could be hidden behind the walls of King Tutankhamun’s tomb. 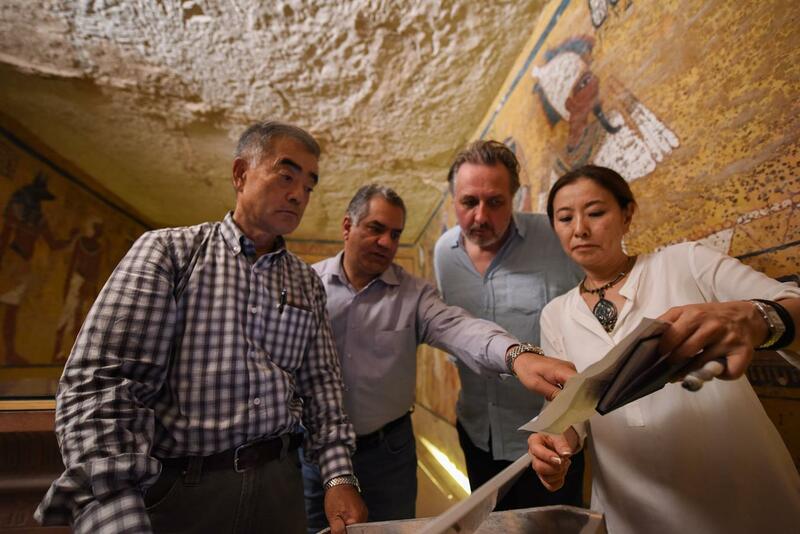 Speaking at the Sunday conference, former antiquities minister and famed Egyptologist Zahi Hawass rejected the theory that undiscovered chambers lie behind the tomb and likely contain the tomb of Queen Nefertiti, one of pharaonic Egypt’s most famous figures. British Egyptologist Nicolas Reeves meanwhile defended the theory he put forward last year. Since then the tomb has been extensively scanned by radar, with preliminary results suggesting two open spaces with signs of metal and organic matter lie behind its western and northern walls.